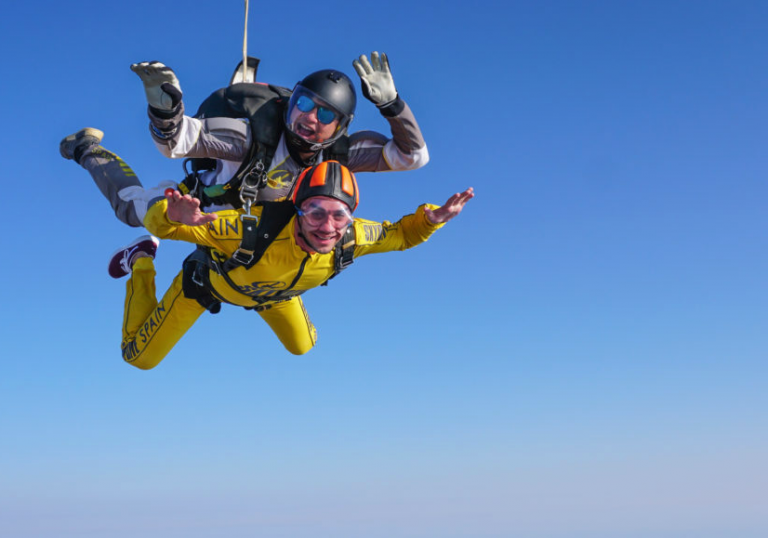 If you want the video and photos report, we recommend that you hire it during the reservation process of your jump; since the availability is limited. How to get the reservation? Holder: Paraíso Español Aventura, S.L.U. Bank: La Caixa Address: Rotonda el Garrotal s/n, Ed Jaral, 41940 Tomares, Sevilla. In less than eight hours we will send you the confirmation by email. Thank you! The center is located at La Juliana Aerodrome, Bollullos de la Mitación, Seville province, 30 minutes by car from the center of Seville. 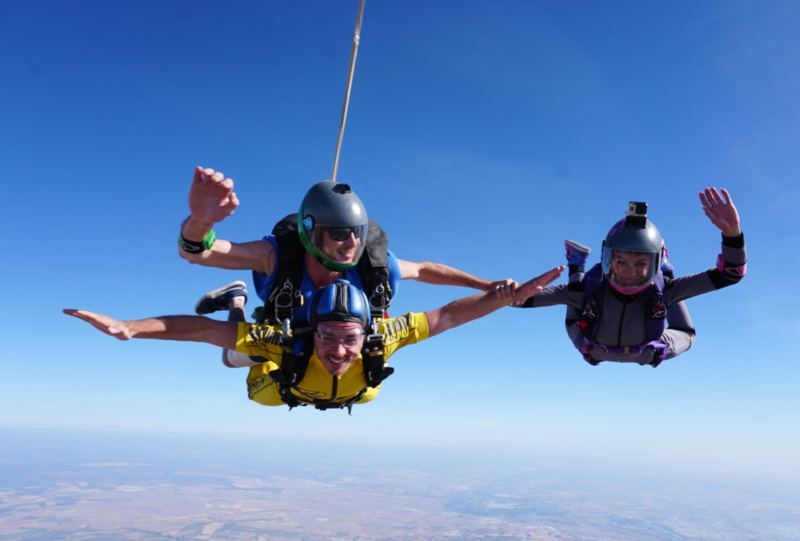 We perform jumps in tandem from Monday to Sunday throughout the year. You must bear in mind that the duration of the entire activity can be approximately 4 hours to 5 hours. Tandem jumps are done only in the mornings. The minimum age to jump is 16 years. Children under 18 need to be accompanied by their parents or legal guardian on the day of the jump and sign the forms in person with their identification document. If you are 70 years old or older, you must have the authorization of the doctor, which must be signed and stamped by your doctor. Please request the relevant sheets. There is a weight limit of 95 Kg. This weight is dressed and shoes. The passenger will be heavy the day of the jump in our office. The deposit will not be refunded if this weight is exceeded. 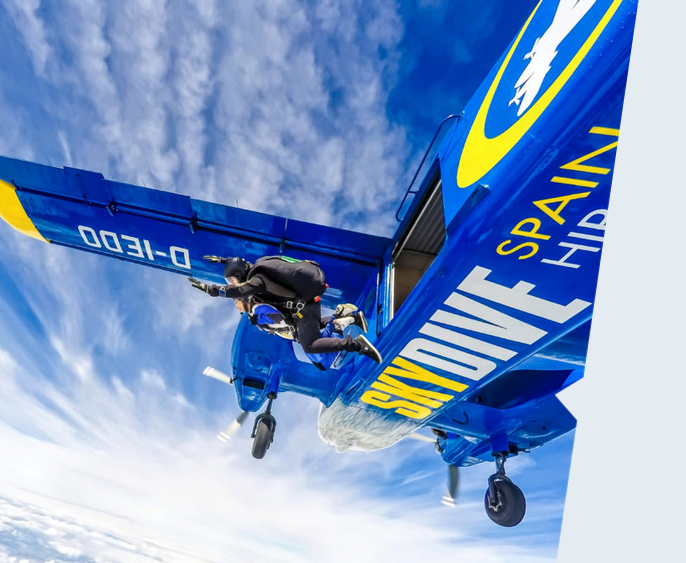 Although the maximum weight allowed to perform a tandem jump is 95KG, the body mass index is also a determining factor to perform the activity, being necessary to be less than 30. If you have a medical problem diagnosed, is undergoing any type of treatment or is taking some type of medication, your doctor’s approval will also be necessary. What do we recommend to take to the activity? Please make sure that the participant brings comfortable clothes and sports shoes. We will provide everything you need, parachute jumpsuit, gloves and goggles.